The ongoing release of the WikiLeaks files continue to be a gift that keeps on giving, especially if you resent the cozy relationship between big business and government. 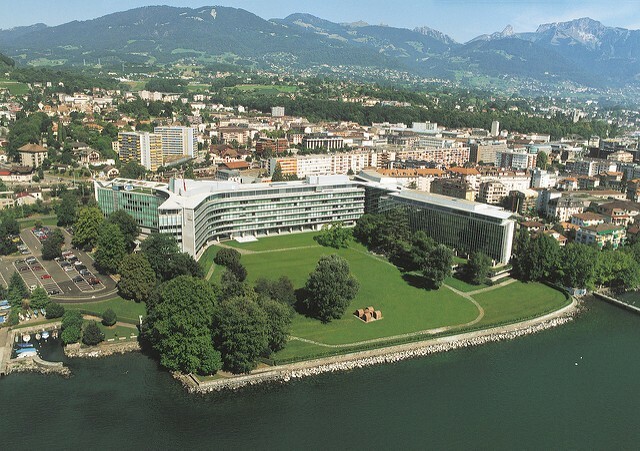 A set of cables released last month describes a 2009 visit between U.S. government officials and Nestlé executives at the company’s global headquarters in Vevey, Switzerland. It confirms what was already largely confirmed by science, government and business leaders: The global economy is on a collision course with water scarcity. Whether this revelation will rank with the tobacco company’s sabotage of its own research of the impacts smoking has on public health, or ExxonMobil’s past research on climate change that it eventually suppressed, remains to be seen. But Nestlé’s frank discussion about the world’s ongoing water crisis several years ago hardly portrays the company as model corporate citizen. Nestlé has long engendered its fair share of controversy, from its role in the baby formula scandal in Africa in the 1970s to its American operations’ dubious agreements to source groundwater for its lucrative bottled water brands. The company, to blunt such criticism, will point to progress it has made on the sustainability front, from its cage-free egg-sourcing commitments to improvements in animal welfare. The report then continues to give a damning assessment of the American diet. Claiming that the average U.S. daily consumption of 3,600 calories per person is largely derived from meat products, Herbert Oberhaensli, Nestlé’s then-vice president of economics and international relations (now retired and a part-time advisor to the company’s board of directors), said global water supplies would be “exhausted” if the world’s population reached 6 billion people — a number reached in 2000. Many of these threats related to water depletion, Oberhaensli went on, stem from subsidies that allow for the growing of crops in arid reasons like California and the “mis-pricing” of water. But the gargantuan American diet was not solely to blame. The push to develop biofuels, then a central part of the European Union’s drive to shift toward clean-energy technologies, also contributed to the world’s growing water shortages. Nestlé estimated that 1,000 liters (264 gallons) of water were needed to produce 1.5 liters (0.4 gallons) of ethanol. As a result of the growing middle class’s demands for more meat, Oberhaensli believed the world would confront a 30 percent shortfall of grain production by 2025. The company, therefore, suggested a four-pronged approach toward combatting this emerging water crisis: a virtual market of water that would allow for this precious resource to be sold across borders; the elimination of subsides for biofuels; the acceptance of genetically modified crops (GMOs) into the global food industry’s supply chain; and the liberalization of agricultural trade. Whether Nestlé leads by example is open to debate. While the company does procure some meat for its portfolio of brands, which includes Hot Pockets, Stouffer’s, Gerber, Maggi and, of course, its pet food products, Nestlé does not directly purchase livestock from suppliers — most of the meat it buys is already processed. It is easy for the company to express dismay about the potential impact of the global meat industry when such food is not the core of its business. And as for overall water consumption, the company is rather vague when it comes to what, in corporate-speak, is often called “water stewardship” policies. It is not fair to single out Nestlé, or ravenous Americans, for the world’s emerging water crisis. Many of the issues are structural, such as outdated laws on water allotments in places like California, or the fact that water is still underpriced. And to Nestlé’s point, most of the world’s water goes toward farming, not industry or residential use. But what this leaked document reveals is that Nestlé had the opportunity to get ahead of the curve and start a global conversation on water consumption. Instead, the company confused “non-confrontation” with leadership.